On the recommendation of a friend who loved this story she has prompted me to provide you feedback on the audio book so here goes. Scott Brick has managed to make the entire sequence of events that happens to Fikry seem extremely boring and tedious, even though that is anything but the case. He portrays every character as an emotionless Vulcan. His delivery reminds me so much of a bored John Malkovich.﻿ I’m sure if I read this myself without it being dictated to me I’d probably like this story. I know I won’t read it though, and so I’ll carry on to the end to find out what happens, but his tone throughout the book is actually distracting. It seems like this voice actor is either a boring person in general, or he found this story to be boring. Either way, it does your work a great disservice and I can’t believe this went out into the world as a finished product. I really enjoyed this book! I also listened to the audio version. I struggled with the first cd. AJ was depressed, Scott Brick’s narration showed that depression. I was getting sad listening to it; I thought about stopping after the first cd. Then I decided to keep listening. I am so glad I did! As an African-American I read a lot of fiction by African-American authors. I have recently started to branch out to authors for which I have no knowledge. Am I happy to have found a new author to read. I know this is a little late, but I think I’ve found this book at a perfect time. I would like to thank you Gabrielle, you have blessed us with a gift. If I can ever come up with anything close, I will be utterly pleased, complete even. I think that maybe I’d forgotten what an amazing piece of work can do to you, but now I remember! It makes you search for the author just to say how much you appreciate every effort put into each sentence. P.s I don’t say this much, but I’m positively positive that I will be reading this chef d’oeuvre (because that’s my thought of it. Even though I’m somewhat of a snob who knows little about anything, I believe that if you’ve made someone think about something hard enough, you’ve accomplished something on this world. After all, we can only expect so much of life. Don’t know if this is confusing or not… ha ha(awkward laugh)) more times in the days I have to spend on this Earth. Kudos for breaking, crashing, demolishing my heart. 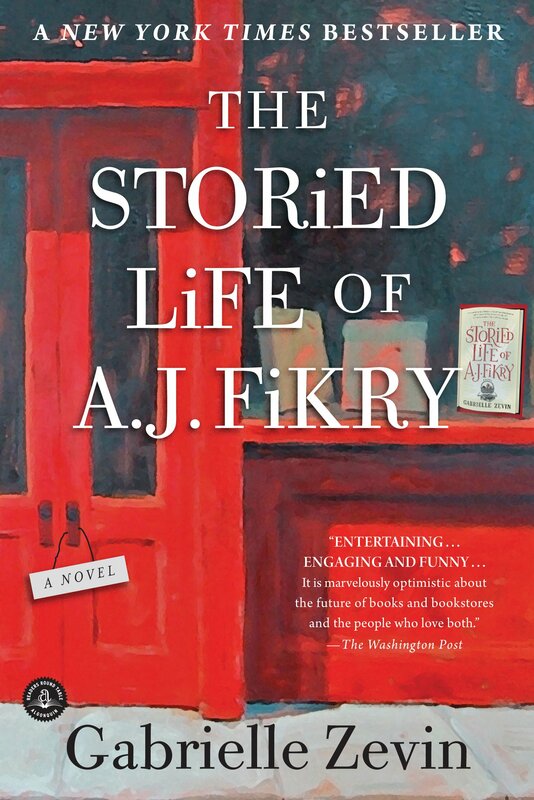 I am trying to find some good discussion questions for your book “The Storied Life of A.J. Fikry” as I’m in charge of our local book club. We have scheduled your book for next April, but I get all these organized ahead of time since we have guest discussion leaders each month. Is there any chance you might come up with some interesting questions that would help us out? After trying to hear Scott Brick (he often drops his soft voice so as to be almost inaudible) on the CD, I read the book. What a wonderful difference. Unfortunately, A.J.’s voice will remain that of a grouch in my mind because of the CD. I have strong and hurtful childhood and adult memories of grouches in my life. A.J.’s story teaches us to tell our loved ones how we feel while we are able. Fortunately, the rest of the characters were alive and moving forward in positive directions. I truly loved your book and will relate this at the club meeting. Thank you for your talent and service to your readers.